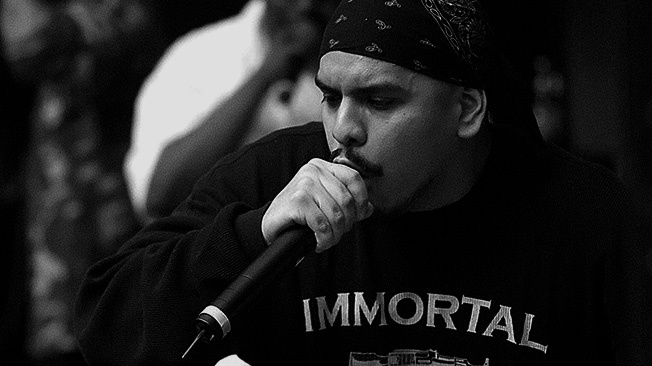 Immortal Technique is a figure in hip-hop that needs no introduction. As a forceful character in hip-hop activism, Tech is one of the rare few that unveils the realities of our world first-hand. His cutting delivery and intelligence on government, poverty, religion and institutional racism has not only opened our eyes to real-world problems, but it has furthered our grasp on actually understanding how to deal with them. In a recent interview with Bonus Cut, Tech talks about media bias, terrorism, institutions around the world and the hip-hop human condition. Bonus Cut (BC): In your song the “4th Branch” from Revolutionary Vol. 2 you touch on a lot of important issues regarding the corruption and double standards that exist within the political sphere of the United States. This song was written in the middle of George Bush’s presidency. Ten years later, where does our government stand on these issues and have we made any significant progress? Immortal Technique (IT): In terms of corruption? I don’t think that even requires my insight or political acumen to see that. It’s just gotten worse and people have been conditioned to receive it without shock or action. Now it’s a complacency that perhaps was not there in the beginning. I think that people are becoming more self aware here, however I don’t know that the way the government is structured now will make it any easier for them to change things. BC: In light of recent events it seems as if there is a divide between what is considered an act of terrorism, and what is not. Why were the events in Boston immediately labeled as an act of terrorism when the shootings in Newtown, Aurora and Columbine were not? Furthermore, in your opinion, what constitutes an act of terrorism when the United States has been responsible for countless atrocities to push it’s own interests around the world? IT: Terrorism is not just committed by individuals, loners and such. People need to understand that a state, its counterparts and such, are capable and are actually probably more likely to commit acts of terrorism on each other. The manner in which it’s interpreted in the U.S. though will have obvious bias for a reason that I think we’re all familiar with here. We have been engaged in constant wars since the birth of the Republic; in all truth we have only had 20 some odd years of peace. Presently we are at war in the Middle East, before we were restructuring Central America, crushing the remainder of Europe’s old regimes or encroaching our influence in Southeast Asia. The average American was once trained to see the German people, the Japanese people, the Vietnamese as their enemies. If someone went on TV ranting about those 3 people now we’d have them committed to an insane asylum. However, if they do a lecture series about the evil of Islam, the evil of Arab culture, they find themselves being economically breastfed by a bevy of right wing groups and are invited to speak on college campuses. People find this logical in this day and age, whereas in the future it will be a joke. But it won’t be funny. BC: Going off of that, how have your travels to the Middle East and Latin America shaped your views on American foreign policy and its relationship with other nations? IT: I think I feel a lot more grateful for what I have now. I tell people, if you don’t like the Justice system in America, you’re really not gonna like it in China. If you dislike the bureaucracy here, then you’ll hate it in South America. Dislike Corruption here? You’ll despise it in Russia. Don’t like American prison? Spend a day in jail in the Middle East and you’ll cry for home. I get first hand accounts of these things from the people, I am shown around wherever I go and I explore on my own. I have the ability to see things with my own eyes. I experienced some of these things as a child returning to the so-called “3rd World”. BC: How does hip-hop fit into this equation? How can hip-hop be used to process the pain that people experience everyday at home and abroad? IT: Hip-hop is about the human condition; it’s about people’s lives. It started out speaking on what it was like growing up in a slum in the Bronx, the trials and tribulations of living in Harlem, Brooklyn, Queens, Staten Island. Then it spread to the West Coast, to the South. Now it is a global phenomenon. Why shouldn’t a child reading this looking over Mogadishu, Tirana, Lagos, or Aleppo tell the world of his struggle and his pain? We had drug dealers, war torn streets and poverty that the other side of the country almost seemed oblivious to, ironically since the majority of all hip-hop sales. No matter the artist or the region come from middle class European America. So why shouldn’t the rest of the world be just as interested as they were in how people live? In the end it is entertainment, let’s not embarrass ourselves by not admitting that, but entertainment can be used to educate, to ennoble, or to distract and mislead. This form of entertainment has the ability to reach far beyond the Bronx. And whether we’re willing to admit it or not, it connects people from across the word. In the end a human being just needs one thing to start the process of healing. To have their pain acknowledged. BC: Considering all of this, does hip-hop always have to be political? IT: It doesn’t have to. But it always is. 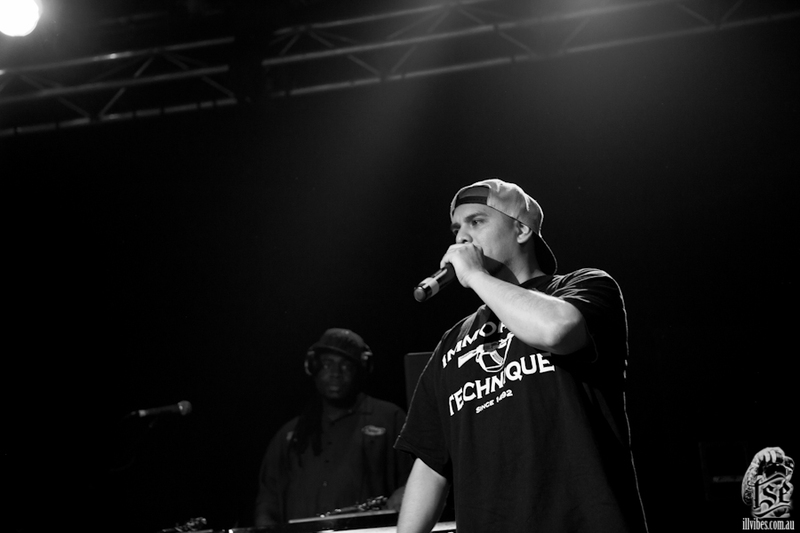 Immortal Technique’s Revolutionary Vol. 2 was the Bonus Cut Album of the Week on May 22nd.